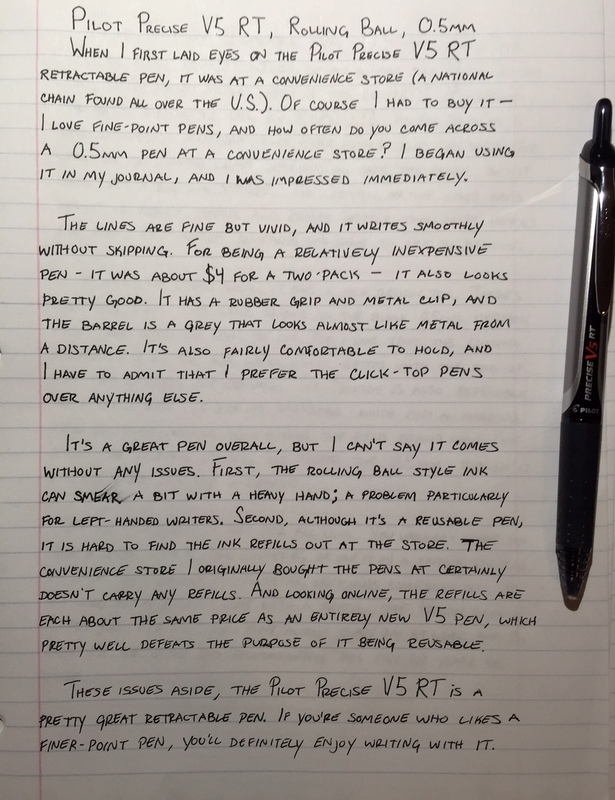 When I first laid eyes on the Pilot Precise V5 RT Retractable pen, it was at a convenience store (a national chain found all over the U.S.). Of course I had to buy it – I love fine-point pens, and how often do you come across a 0.5mm pen at a convenience store? I began using it in my journal, and I was impressed immediately. The lines are fine but vivid, and it writes smoothly without skipping. For being a relatively inexpensive pen – it was about $4 for a two-pack – it also looks pretty good. It has a rubber grip and metal clip, and the barrel is a grey that looks almost like metal from a distance. It’s also fairly comfortable to hold, and I have to admit that I prefer the click-top pens over anything else. It’s a great pen overall, but I can’t say it comes without any issues. First, the rolling ball style ink can smear a bit with a heavy hand; a problem particularly for left-handed writers. Second, although it’s a reusable pen, it is hard to find the ink refills out at the store. The convenience store I originally bought the pens at certainly doesn’t carry any refills. And looking online, the refills are each about the same price as an entirely new V5 pen, which pretty well defeats the purpose of it being reusable. These issues aside, the Pilot Precise V5 RT is a pretty great retractable pen. 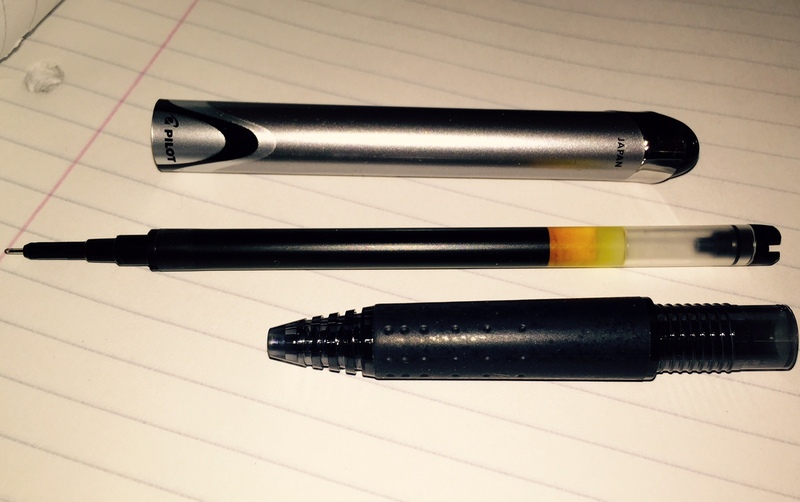 If you’re someone who likes a finer-point pen, you’ll definitely enjoy writing with it.